We have designed our application solution for conveyor lines for efficient material flows in all systems. Whether it's control cabinet or decentralised technology – with the special features of our concept, you reduce your operating costs significantly. For conveyor lines in particular, modular design is vital for reducing the number of variants. After all, conveyor lines are used to connect various processes. Because the motion tasks are so simple, this package sets itself apart based on the high level of drive technology integration in the manufacturing process. With our application solution for conveyor lines, we provide you with concepts for compact materials handling systems. The solution adapts to your system without difficulty and increases your efficiency. because thanks to our proven modular system, you always receive the ideal drive. because you significantly improve your processes by easily assigning the components to their functions. because our package-specific documentation provides you with a high level of process reliability and risk minimisation. because with our conveyor lines package, you simplify your systems and reduce installation costs. because the predefined application modules make startup quick and easy. because you only require one software package for consistent engineering with our predefined software module. 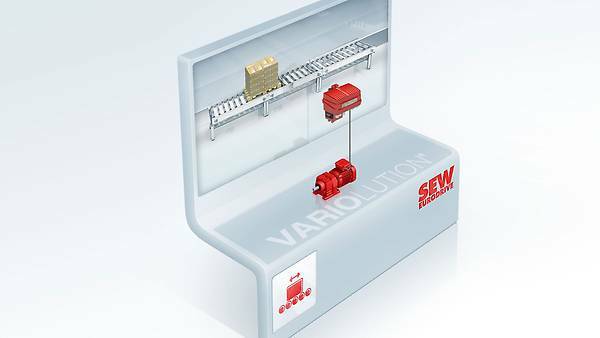 The MAXOLUTION® conveyor line for decentralised conveying concepts variant is the ideal solution for up to three connected roller, belt or chain conveyor segments for transporting unit loads. 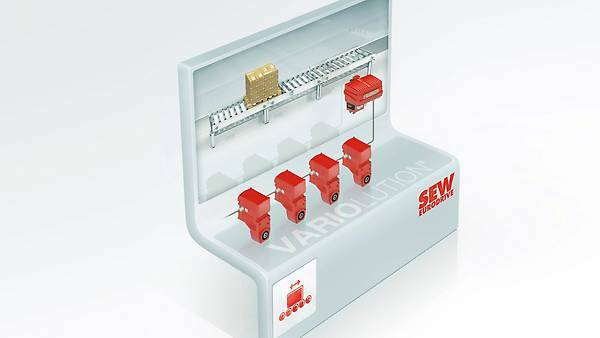 But you can also set up complete conveyor lines easily with the MAXOLUTION® package. All the components are perfectly matched, which makes it easy to combine them. Learn more about the variant for decentralised conveying concepts. The MAXOLUTION® conveyor line for efficient conveying concepts package variant: simple configuration for up to ten connected roller, belt, or chain conveyor segments for unit loads. 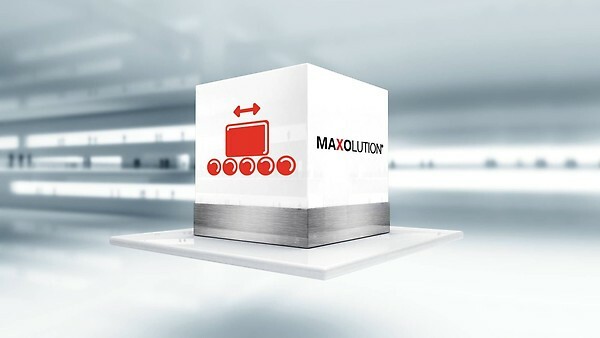 Your advantage with the MAXOLUTION® package: Starting with the basic variant with three modules, the concept can be easily extended by additional segments. Learn more about the variant for efficient conveying concepts. Ideal solution for the flexible creation of complete conveyor lines. The MAXOLUTION® conveyor line package in the variant for single segments is the ideal solution for decentralised roller, belt, or chain conveyor segments for transporting unit loads. Your advantage with the MAXOLUTION® package: By using individual segments, you can create complete conveyor lines flexibly. 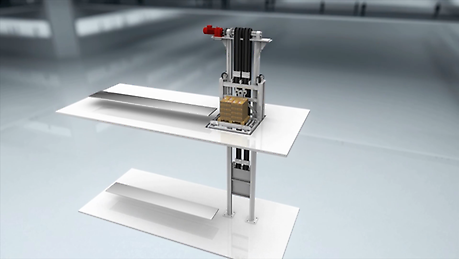 Learn more about the conveyor line with a single axis variant. The MAXOLUTION® conveyor line package in the variant for control cabinet technology is the ideal solution for roller, belt, or chain conveyor segments for transporting unit loads. Your advantage with the MAXOLUTION® package: By using individual segments, you can create complete conveyor lines flexibly. Learn more about the variant for control cabinet technology. 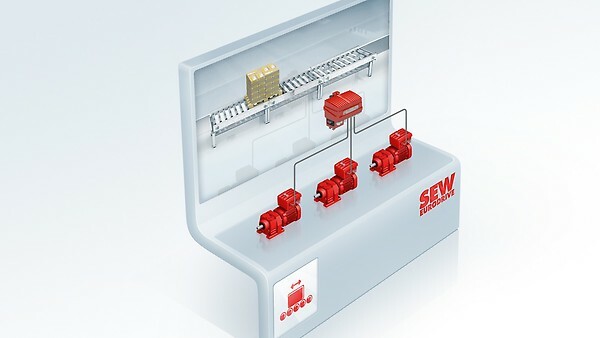 With this application solution, you receive an integrated concept that can be specially adapted to individual system segments such as roller conveyors, lifting tables, rotary tables, and corner transfer units: We will provide you with a comprehensive drive module system for your conveyor line planning that you can apply on a project-specific basis. Learn more about the energy-efficient horizontal conveyor line. You can use conveyor lines for a variety of applications. Due to the "simple" motion task, the distinguishing feature is based on the highest possible integration of the drive technology into the production process rather than functionality. We have taken these differences into account in the conveyor line package in the form of different variants. The predefined variants make it easier for you to select the right components for an optimum solution. Please enter your postcode to find the corresponding contact person. 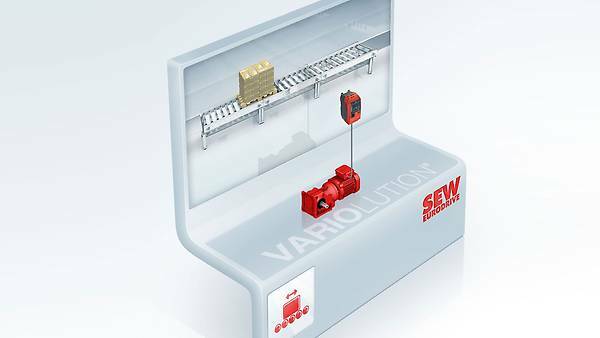 Experience in motion: How we optimise your processes with our VARIOLUTION® concepts. Experience in motion: How we optimise your processes with our concepts.